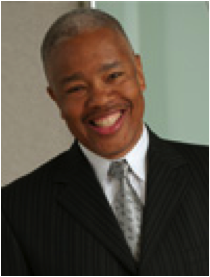 Johnny Darnell Griggs, JD is a Human Resource Expert Witness and Senior Consultant. Mr. Griggs advises Members on complex HR matters ranging from litigation avoidance to Boards of Directors. Over the course of his distinguished career, Mr. Griggs has counseled Fortune 500, mid-size and fast-growth start-ups on all aspects of management-side employment law, including claims alleging race, age, and gender discrimination, sexual harassment and wrongful termination. Mr. Griggs has lectured and published extensively on a wide-variety of employment law issues, including privacy, discrimination, diversity and elimination of bias in the workplace. Mr. Griggs has conducted workplace investigations including of complex claims involving alleged executive misconduct, sexual harassment, retaliation, and age, gender and disability discrimination, for hospitals, churches, public benefit corporations and businesses. Mr. Griggs was a former Litigation & Employment Partner at Sidley Austin LLP and has served as a trusted advisor to a variety of high-profile clients, including a former Chief of Police of the City of Los Angeles, LAUSD Superintendent of Schools, prominent civil rights leader, world renowned artist, the Forum (former home of the LA Lakers and Kings), the President of the Los Angeles Urban League and number of prominent CEOs. Mr. Griggs graduated from Yale Law School and obtained his undergraduate degree from Lewis and Clark College.